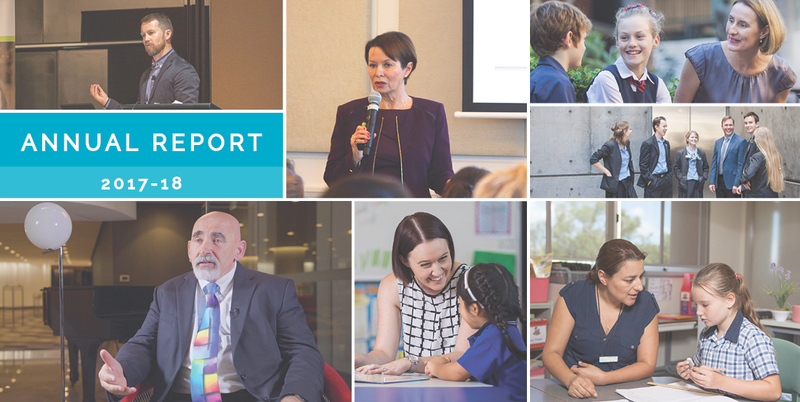 In 2017-18, QELi delivered a range of outstanding programs for educators, building the capability of more than 4,450 educators across Australian government and non-government schooling sectors and internationally, and strengthened relationships with delivery partners, participants and systems within and beyond Queensland. This achievement represents a 47 per cent increase in participation rates compared to 2016-17 and affirms QELi’s reputation as a provider of evidence-informed, cost-effective professional development that meets participant, school and system needs. Feedback and co-design remain major focuses of our approach. Our overall program satisfaction rating, on average of 4.6 out of 5, reflects our participants’ satisfaction with the high-quality and actionable learning they experience in our programs. Follow-up research with participants up to 18 months after completing QELi programs found that our programs had a ‘major to significant’ impact on 80 per cent of our participants’ leadership practices, confirming the long-term positive influence of our programs on the sector. In 2018-19, we will continue to deliver the highest-impact programs at the best possible price, work closely with educational sectors and partners in industry, and operate as an efficient and high-functioning team to ensure the future success of the organisation.